The House on Thursday evening passed the bulk of a package of Democratic rules changes, which includes the creation of a select committee on climate change and an exemption to a ban on hats that would allow members to wear religious headwear on the floor. Why it matters: Three progressive Democrats — Reps. Ro Khanna (D-Calif.), Alexandria Ocasio-Cortez, (D-N.Y.) and Tulsi Gabbard (D-Hawaii) — publicly expressed their opposition and voted against the package due to concerns over the pay-as-you-go provision (PAYGO), which requires all new spending bills to be offset by equal cuts or tax increases. Ocasio-Cortez said such a rule would "hamstring progress on healthcare and other legislation." Requires annual ethics training for all members. Prohibits members from serving on corporate boards. Permits members to wear religious headscarves on the floor. 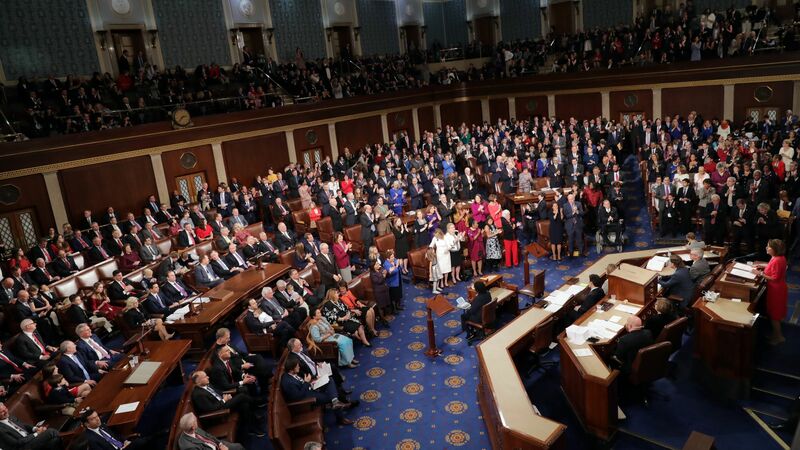 Creates two new select committees on the modernization of Congress and the climate crisis. Requires members to pay for discrimination settlements. Prohibits members and committee staffers from having sexual relationships with one another. Requires indicted members to step back from committee and leadership positions. Requires a majority of either party to start the process to oust the speaker, rather than just one member. Limits power of the majority to block action on measures relating to the War Powers Act. House Republicans blocked action on plans that would end U.S. military support for Saudi Arabia’s role in the civil war in Yemen late last year. Renews the "Gephardt Rule," which raises the debt ceiling automatically when the House passes a budget. Eliminates dynamic scoring as a technique for predicting the effects of fiscal policy. Requires pieces of legislation with the backing of at least 290 members to be debated and brought to the floor.